Puralotor Ultra-Cell HEPA Filters are used in filter applications for hospitals, data centers, nuclear facilities, pharmaceuticals, laboratories, aerospace, food processing and optics. The Commercial HEPA Filter Replacement 23.3" x 11.3" x 11.5" High Capacity is the correct replacement for the Puralotor Ultra-Cell WGB432223 filter. The Commercial HEPA Filter Replacement 23.3" x 11.3" x 11.5" Standard Capacity is the correct replacement for the Puralotor Ultra-Cell WGB432223 SC. The Commercial HEPA Filter Replacement 23-3/8" x 23-3/8" x 11-1/2" Standard Capacity is the correct replacement for the Purolator WGB432379 SC. The Commercial HEPA Filter Replacement 24"x12"x11.5" High Capacity is the correct replacement for the Purolator UH-GLV-97-24012012. The Commercial HEPA Filter Replacement 24"x24"x11.5" Standard Capacity is the correct replacement for the Purolator Ultra-Cell UH-GLV-97-24012012-XBU. The Commercial HEPA Filter Replacement 24"x24"x11.5" High Capacity is the correct compatible replacement for the Purolator Ultra Cell UH-GLV-97-24024012. The Commercial HEPA Filter Replacement 24"x24"x11.5" Standard Capacity is the correct replacement for the Purolator Ultra Cell UC-GLV-97-24024012. The Commercial HEPA Filter Replacement 23-3/8" x 11-3/8" x 11-1/2" High Capacity is the correct replacement for the Purolator Ultra Cell 2311115 HC. 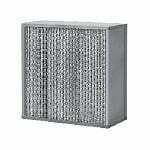 The Commercial HEPA Filter Replacement 23-3/8" x 11-3/8" x 11-1/2" Standard Capacity is the correct replacement for the Purolator Ultra Cell 2311115 SC. The Commercial HEPA Filter Replacement 23-3/8" x 23-3/8" x 11-1/2" High Capacity is the correct replacement for the Purolator UltraCell 24024012 HC. The Commercial HEPA Filter Replacement 23-3/8" x 23-3/8" x 11-1/2" Standard Capacity is the correct replacement for the Purolator Ultra Cell 24024012 SC. The Commercial HEPA Filter Replacement 24"x24"x11.5" High Capacity is the correct replacement for the Purolator Ultra Cell UH-GLV-99-24012012. The Commercial HEPA Filter Replacement 24"x24"x11.5" Standard Capacity is the correct replacement for the Purolator Ultra Cell UCGLV9924012012. The Commercial HEPA Filter Replacement 24"x24"x11.5" High Capacity is the correct replacement for the Purolator Ultra Cell UHGLV9924024012. The Commercial HEPA Filter Replacement 24"x24"x11.5" Standard Capacity is the correct replacement for the Purolator Ultra Cell UCGLV9924024012.